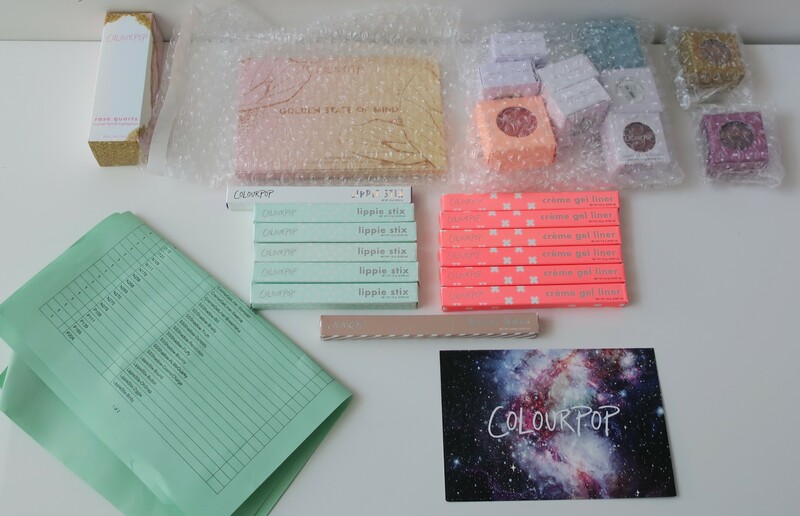 Since the Sale was still ongoing over at ColourPop (slashed prices on most of their items) about a month after my last ColourPop order (here), I decided to pick up even more Super Shock Shadows (x9) and Creme Gel Liners (x6) and Lippie Stix (x6). I also picked up another of those Crystal Liquid Highlighters and a backup of my Brow Boss Pencil (previously hauled here). I really wanted to try out their Super Shock Blush so I just got 1 (for now). Lastly, if you spent X amount of money, you got a Golden State of Mind Pressed Powder Shadow Palette (Sephora Exclusive) for free! I placed my order on December 27 and it shipped 2 days later! Believe it or not, my entire order was only $101.60 (about KD 30/700) which is a total steal!